Key to the utility of the UMK425 UE is its dual cutting capability. 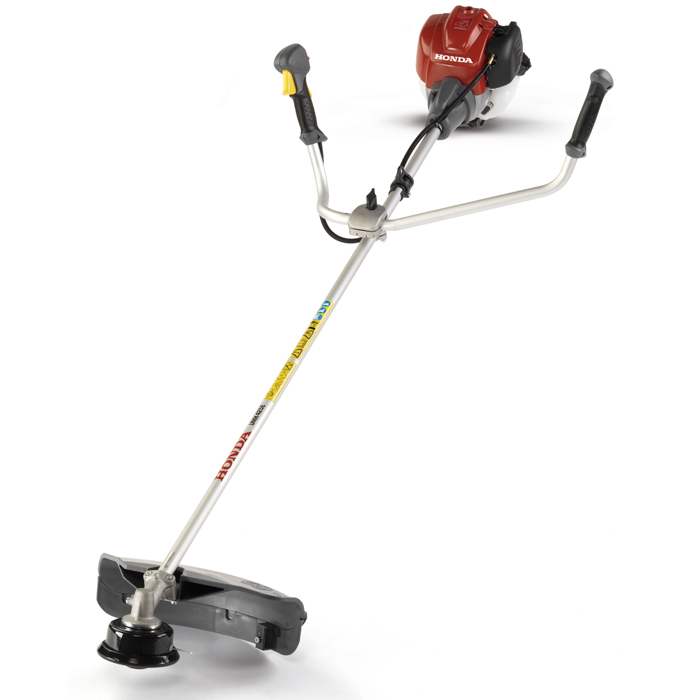 For thicker areas of built-up vegetation, including nettles, brambles and weeds, the UMK425 UE features a tough three-tooth blade option which will cut through even dense scrub with efficiency. When a more delicate touch is required, however, the brushcutter’s nylon line cutting system can be used to achieve a precision finish on edges and borders. Moreover, the cutting system also incorporates a protective head guard and tap-and-go line advancement for increased safety, efficiency and convenience during operation. The UMK425 UE power supplied via a fuel-efficient and quiet running 25cc GX25 mini four-stroke petrol engine, incorporating a quick starting recoil start system for added convenience. As this engine is capable of delivering up to 810 watts of power at 7,000rpm, you will definitely appreciate the effect of the UMK425 UE’s anti-vibration clutch system, which makes the brushcutter pleasingly comfortable to use for such a powerful machine. For added comfort, safety and convenience, the UMK425 UE is also equipped with a comfort harness and adjustable ‘bike style’ handles which have been ergonomically designed to increase grip and control over extended periods of use. Adjustable bike type handle - The easy release adjustable handles gives the user greater balance, control and comfort. A D-loop handle is also available. 25cc OHC 4-stroke engine - Powerful, clean and efficient - one of the worlds lightest 4-stroke engines at 2.78kg. Intuitive control - Ergonomically designed controls for ease of use, with soft skin to reduce vibration.